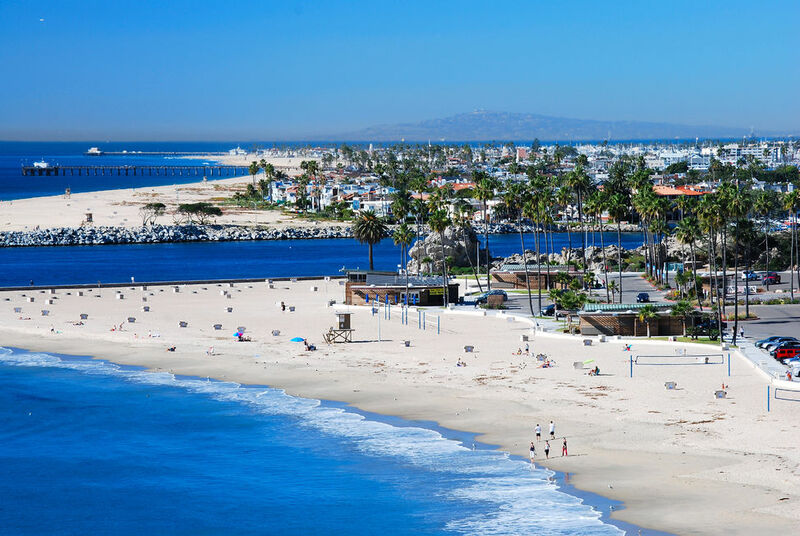 Corona Del Mar is a beautiful and quaint urban neighborhood in the affluent city of Newport Beach. It is located in Orange County, California approximately 80 miles from San Diego and forty from Los Angeles. The neighborhood is known for its beautiful beach, breathtaking views along the cliffs and uniquely charming shops and boutiques. Corona Del Mar roughly translates to "Crown of the Sea" and it also known simply as CDM. The neighborhood is popular among urban sophisticates, executives, retirees and everyone in between. It features gated and guarded communities as well as those without gates and guards. CDM is a wealthy neighborhood and falls among the top 15% of the nations wealthiest neighborhoods according to income. Homes for sale in the community include luxury real estate, ocean view homes, single-family traditional homes mostly closely spaced to make room for the maximum number of homes in the neighborhood. Most residences were built from 1940 to present about half of which were born before 1970 and about half after 1970. Home prices range from around $650,000 to around 75 million. Other real estate options include townhomes, condominiums, and apartments for rent, sale or lease. To begin your home search in beautiful Corona Del Mar, call local real estate agents Tom & Paula Pelton at 949-415-4285. Call today, do not wait to find the home of your dreams.